Woodside is a new town center for the City of Westwood. 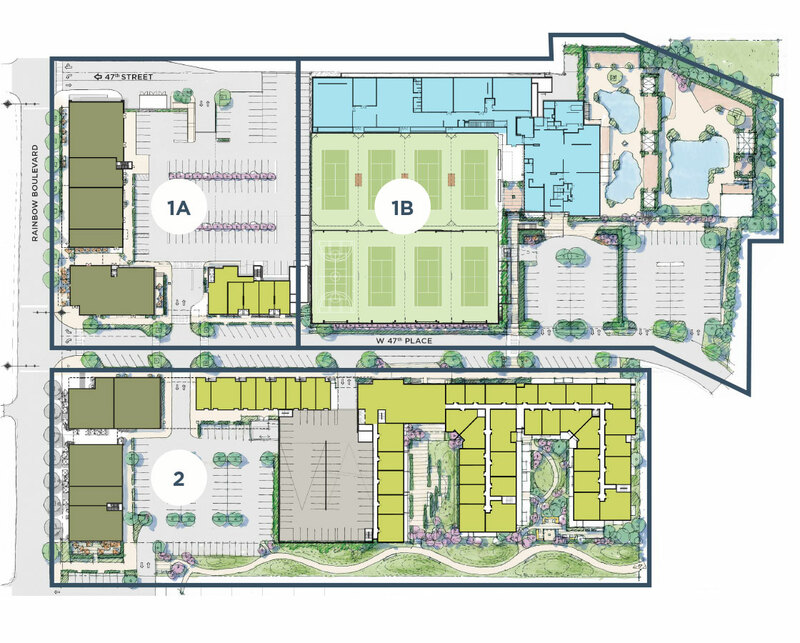 The Village will integrate the Woodside Health & Tennis Club with 335 new luxury residential apartments, 36,500 square feet of retail shop, and an energized public realm. The first part of the development includes 91 luxury, full service apartments and 20,500 square feet of retail stores on the northeast corner of Rainbow Boulevard and 47th Place. Retail tenants include several restaurants and cafes, a coffee bar, shops, and more. 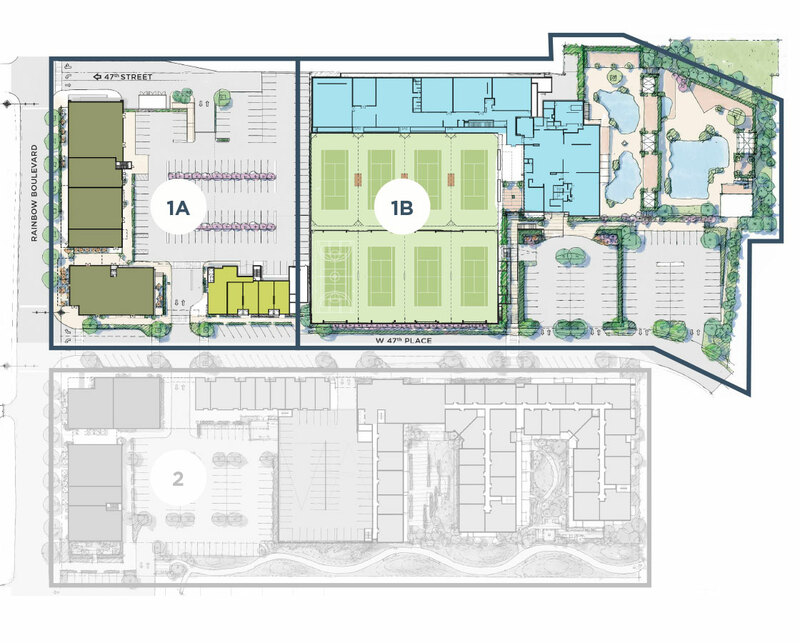 The Woodside Health & Tennis Club will be adding a 48,000-square-foot addition of indoor facilities to the Main Clubhouse. The second part of the development includes 242 luxury, full service apartments and 16,500 square feet of retail stores on the southeast corner of Rainbow Boulevard and 47th Place. An art gallery, grand lobby, and abundance of outdoor spaces will be found on the grounds of Woodside South.